David Le/Gloucester Daily Times. 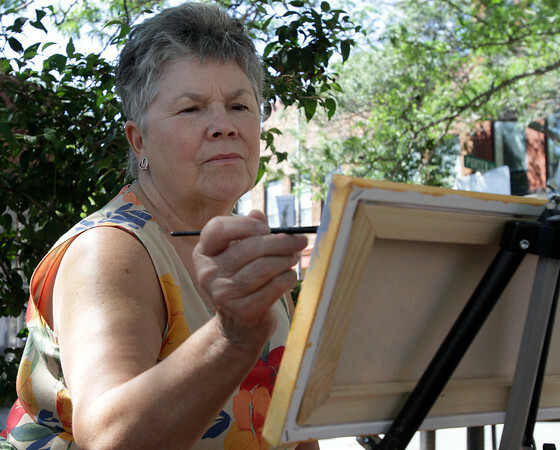 Bonnie Slyvester, of Gloucester paints in the shade along Main St. on Monday afternoon. 8/23/11.